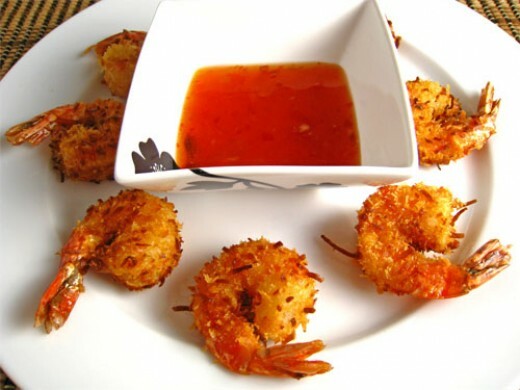 Here is a restaurant copycat recipe for Joe's Crab Shack Coconut Shrimp and Pineapple Dipping Sauce. 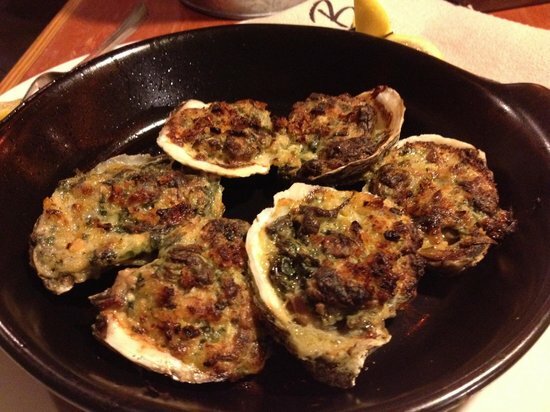 Read on to find out how to make this wonderful dish at home in your own kitchen. Peel, clean and butterfly shrimp. Mix eggs and water. Set aside. Place 1/3 cup of corn starch in a bowl for dusting shrimp. Mix in a separate bowl remaining 1/3 cup cornstarch, coconut, sugar, salt and flour. Blend well. Roll shrimp in cornstarch, dip in egg wash, then roll in coconut mixture. Place shrimp in hot oil and deep fry until done. Shrimp will float to the top when cooked. Place all sauce ingredients in a small saucepan. Simmer over medium-low heat for 20-25 minutes, stirring frequently until the mixture thickens slightly.